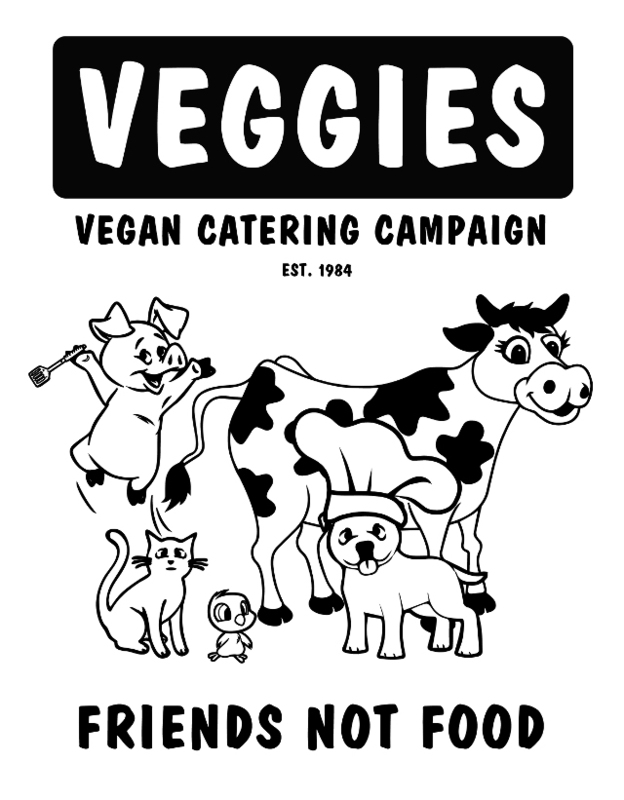 If you have enjoyed Food By Veggies, or to comment on any other aspect of our campaigns for people, other animals and the environment, please Contact Us. We received a lovely text message from birthday girl Lisa thanking us for “the fantastic food and friendly and helpful service” at her barn dance party on Saturday (11th April 2015). She tells us that lots of people said that our burgers were good. One gentleman told us that he had recently decided to go meat free and it was inspiring to see how good vegan food could be! 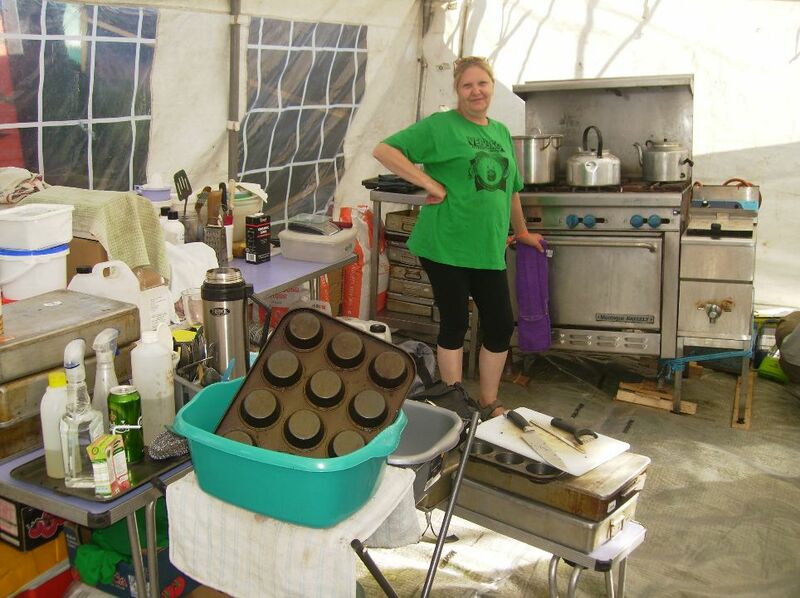 #VeganOutreach: "I was told that someone went vegan as a result of coming to Awaken Inn – isn't that ace! Keep at it, you're all fabulous!" Oh you are lovely and I really liked the piece you wrote and printed off, what a great idea! I was told that someone went vegan as a result of coming to Awaken Inn – isn’t that ace!! Thanks for coming back to let me know you can’t do the event and offering alternatives. I’m sure from the list we’ll find someone very suitable. I’m pleased to learn you guys are so busy – keep at it, you’re all bloody fabulous! I used to have burgers from your van when I lived in Nottingham many years ago and am thrilled that I can now mail order them! 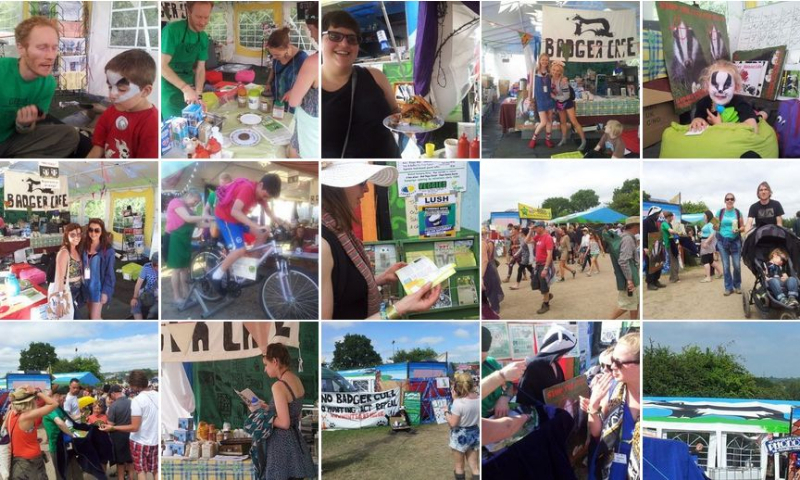 I’m also going to give a shout out to the Glastonbury Badger Action Cafe, run by Veggies Catering. I had my first ever BLT from these guys (I know, with facon! I was in hypothetical heaven!) which used Cheatin’ products. They also did a fantastic sosmix sausage roll, which brought myself and the manchap trailing past the Green Fields on more than one occasion :p Oh, and I don’t care what Michael Eavis says, the badger cull is disgusting and pointless. So nyah. Nyah to you Eavis! Thanks for the festival though…. Just wanted to send a quick thank you for your efforts at the Loughborough Anarchist Studies Network Conference. The food was excellent, and the care and thought with which the special needs dishes were prepared much appreciated! It was a huge contribution to an inspiring gathering! The food was excellent as always, Veggies Catering Campaign food just gets better all the time. 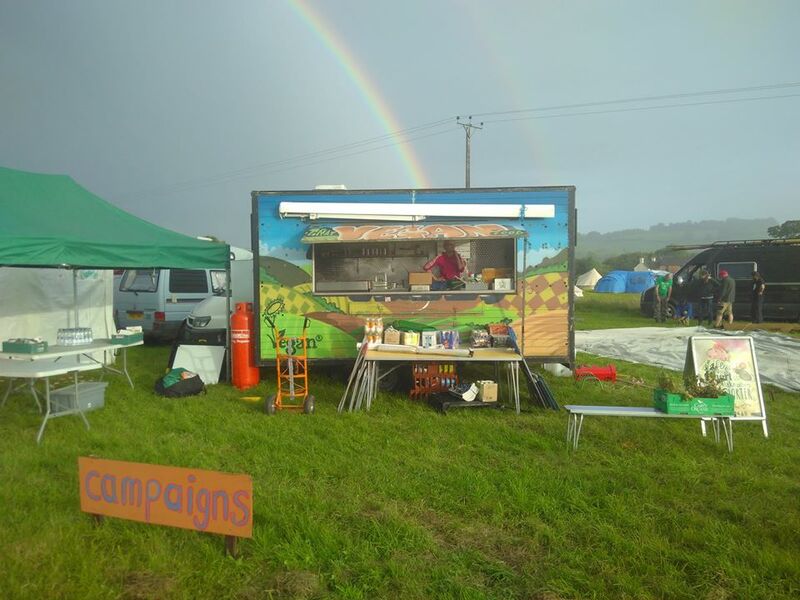 As well as the catering crew themselves, quite a few of the other activists got stuck in and helped out, getting some good lessons in vegan catering in the bargain. 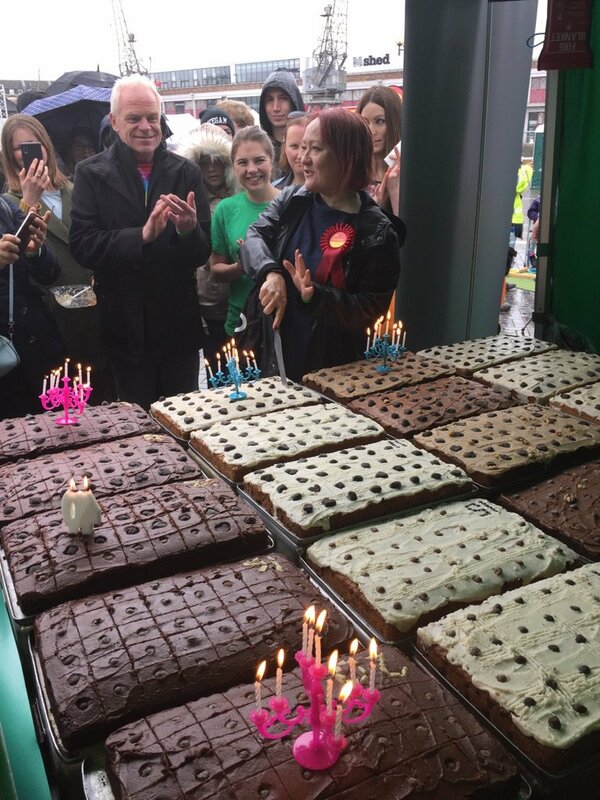 The vegan cake baking workshop was popular and the tuck shop was open all weekend for anyone who wanted vegan snacks, cakes, drinks etc. 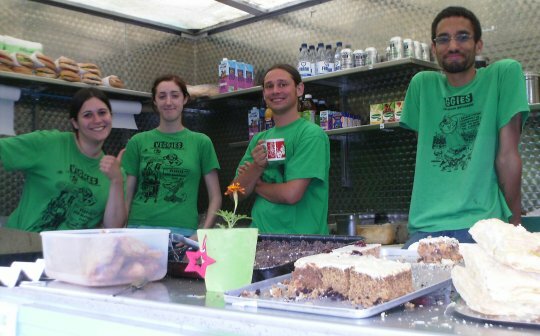 Just wanted to say a huge thanks to the Veggies team for both your dedication on the day and beforehand in getting people to support the event. Great food made by great people! So thanks Patrick – your workshop worked with at least one person! Subject: becoming vegan, thanks to you! “We met at the Peace News Peace Camp, and I thought you did a good sell for vegan diet. Two days ago whilst hitch-hiking I watched a juggernaut park up so the driver could have a pee, and I went up to explore why it stank, and to have a closer look at its uncurtained sides and the trays stacked up to the ceiling. I should have taken some photos and video footage. Each tray was crammed with chickens, without room for them to sit down – they had white feathers, were matted with filth, and henpecked with many having great red raw areas. They had to be on the way to slaughter but they already looked in total misery. Apart from revulsion at any idea of eating them I was full of pity for them, and contrasted their life with some free-ranging chickens I’d looked after a year ago. So for me, no more consuming bought meat and dairy products. “Greg’s 21st went really well, the food was absolutely delicious and loads of it too!! …would like to thank Pat at Veggies and his helpers for food last night and all food over our weekend. It made us braver and was certainly tastier than police cell food where you would not die of starvation but possibility of malnutrition! Just wanted to say a huge thank you for doing the food at our wedding. The brilliant news is we had lots of non veggies at the wedding commenting on the food and taking your leaflets – I am so glad you put the leaflets out. Again those guests that did have burgers really enjoyed them, I think some people will at the very least be eating more veggie food with several guests asking me about veganism and how to do it. The was not one single negative comment about the food it was all really, really positive – honestly lots of praise directed to Veggies. Thanks again, especially as you where so busy on that day. I really appreciate you adding my website to (Veggies) Directory. The more people have access to it the better. I know that the Veggies site is a much visited and well respected site so thanks again! I just read what Cathy had to say about your food when out on demo. I really agree with her. If you are running around on a demo it is a lovely feeling when you regroup to have a veggie burger bought from a familiar face. Keep up the good work. My girlfriend and I are off to the International Gathering in Amsterdam on the 8th of Feb for a few days and I just hope the food out there is as good as yours. We have regularly been to demos at Newchurch over the last year and a half and will be at as many of the future demos as we can. 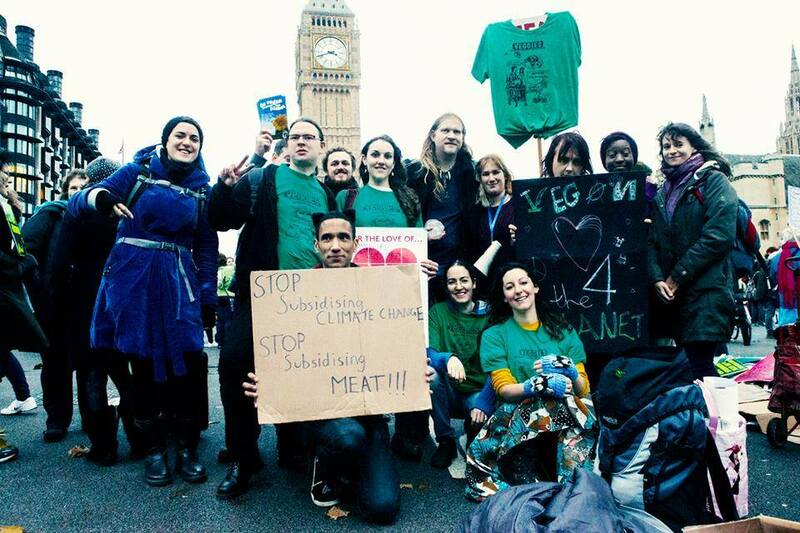 I just wanted to write a brief note to thank you for all the effort you go to, making sure that there is good, vegan food available at demos. I was at Huntingdon on Saturday and it was a long day. We left the south coast at 8am and didn’t get back there until 8.30pm, including about 7 hours driving. If it had not been for you guys then I would have had nothing more to sustain me than a few oatcakes. 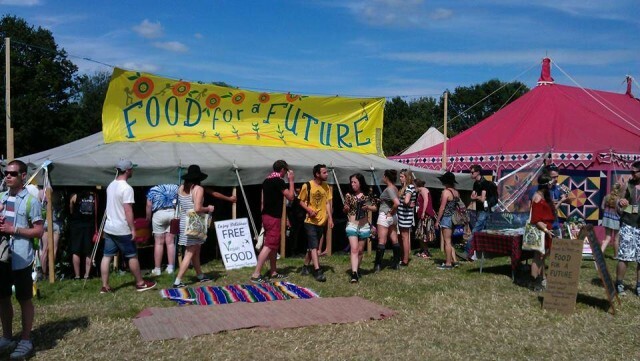 And it’s more than just the food – it’s a sense that we are looking after each other, a community thing. I don’t want to come across too sentimental, but it really does make a difference when you’re at a demo, with all the atrocities of the places themselves, the hostility of the police, the barking of the poor, doomed dogs – it’s all so negative. But then you spot someone chewing on a bhaji and someone else with a carton of soya milk and you follow the trail, and there is good old Veggies, with proper food where you don’t have to read the ingredients list or ask the vendor (who looks at you blankly) whether it’s vegan. Somehow that seems to make the day a little less bleak. So, thank you. 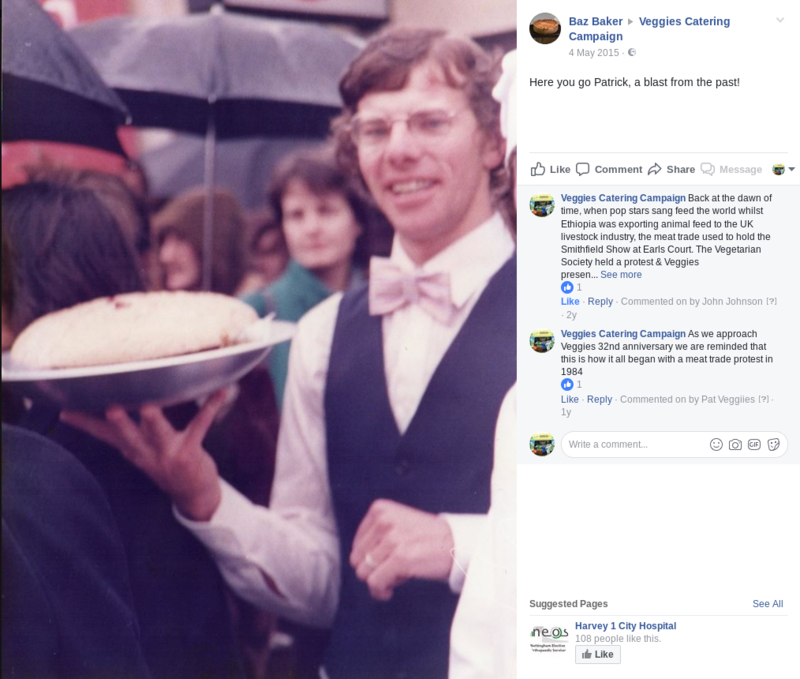 I don’t know how much appreciation you receive – I would guess that people don’t always express the gratitude they feel, but at every demo I go to at least one person will be wandering around asking whether anyone’s seen Veggies. So you are appreciated! On, and the food’s pretty good too! Many thanks for your continued help – without you we’d be pretty stuck for contacts in your area! Thank you for all the fantastic services you offer, it is much appreciated! Thanks again for the catering and hire of sumac for my course on thursday, it was the nicest lunch I’ve had for ages, potato salad particularly toothsome. Thank you and all volunteers for providing us with excellent food on Saturday, ([at World Day for Lab Animals Rally] as per usual!! The buffet was great thanks, and all food eaten!! We had a couple of vegans (not including myself) who were anticipating being given a salad leaf as usual so they were especially impressed! I am passing your number on in case of other events. We are making a healthy eating cook book and are wanting to use the soup recipe as part of that – will that be ok?? Thanks a lot – we had 2 new members because of this website!